It has to be said I do have a lot of fancy kitchen gadgets, but the one thing I couldn't be without is my Thermapen probe thermometer. It gets used in my kitchen pretty much every single day and without meaning to sound like an advert, I really do love the Thermapen and can't recommend them enough. I believed there wasn't anything that could be improved on (until I recently received the new SuperFast Thermapen 4) which has an automatic 360° rotational display meaning it's is readable whether you are left or right handed which is fantastic. The battery life of 3000 hours under normal use, without the backlight is double the expected life of the Classic. Using just a single AAA battery. It has an auto intelligent backlight feature which can be turned on by touching the sensor. 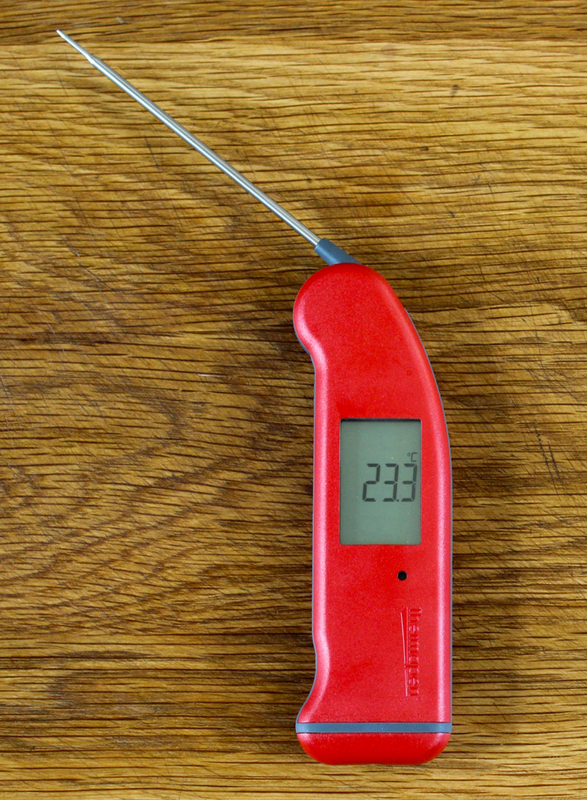 Each Thermapen 4 is supplied with a traceable certificate of calibration. The Thermapen 4 measures temperature over the range of -49.9 to 299.9 °C (-58.0 to 572.0°F) and offers the perfect combination of speed, accuracy and convenience of use. The true temperature of a product can be tested in just three seconds! Weighing just 120 grams with a display size of 39 x 25 mm and currently selling at £60.00 I think this is the best probe thermometer out there. Available in black or white and a choice of 8 colours. Made in Britain and comes with a 2 year guarantee; please see the Thermapen website for details and to buy. All in all, although the new SuperFast Thermepen 4 is improved from the Classic Thermapen 3 (which at the time of writing is selling for £48.00) if you can't stretch to £60 then you really won't be disappointed with the Classic - you can read my review on the Classic Thermapen here. You can see from my picture they look much the same, the SuperFast 4 shown here in red while the orange one is the Classic. The new Superfast has a sensor to the right of the viewing screen - just touch to turn on the backlight. There is only one way to enter which is via the Rafflecopter widget. To see a short video on how easy it is to use Rafflecopter click here. 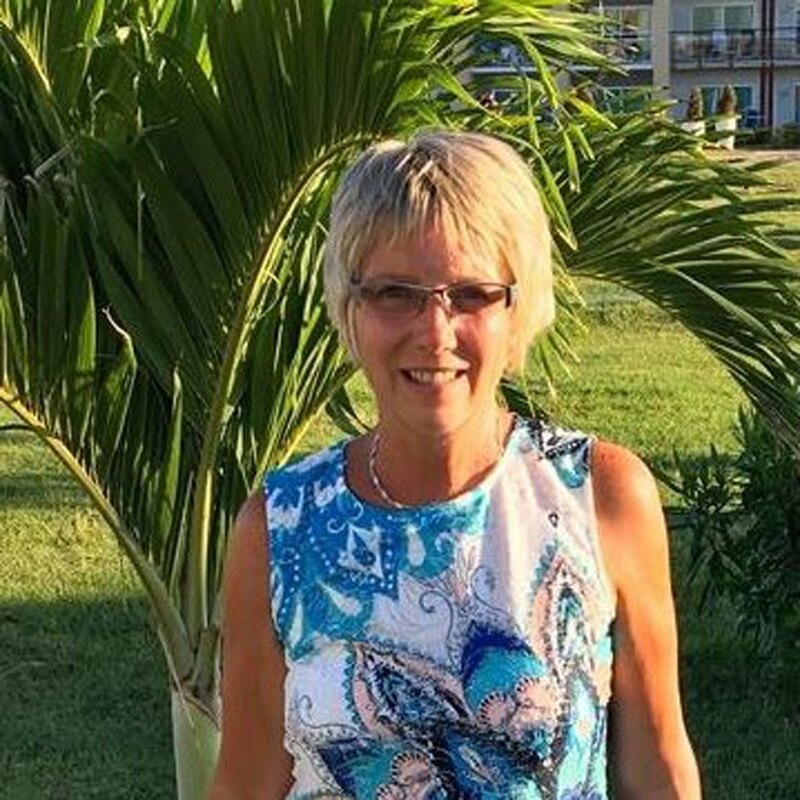 Inappropriate comments will be deleted and entry/entries to the competition removed as will anyone that says they have left a blog post comment but really hasn't! ETI reserve the right to substitute the prize to one of equal or greater value should the need arise. There’s no cash alternative and the prize is not transferable. No part or parts of the prize may be substituted for other benefits, items or additions. Please note I do check all winning entries! The winner will be picked at random by Rafflecopter and then contacted by email. If you win and then don’t respond to this email within 5 days another winner will be picked. The prize will be delivered to the winner by ETI as soon as possible after you have e-mailed your delivery address. Disclaimer - I was sent the new SuperFast Thermapen for the purpose of this review. All thoughts and opinions are my own. I was not required to write a positive review. I actually have a very old Thermapen which I use a lot but my daughter somehow managed to crack it! No, I don't. I tend to poke a tick in and see what colour the juicers run to decide whether my meat is done or not - as well as gage by timing. No, I don't, but would love to own one but I've been considering getting one. I tend to dry the chicken a bit when I roast a full chicken because I'm terrified of it not being fully cooked. Only for jam making, but I've been considering getting a thermapen for a while, winning one would be a bonus! Yes I do it was a really cheap one that I picked up, I'm not sure what brand it is. It takes forever to read, so I would love to win this. No I don't at the minute, but it would be super handy for making things like toffee and honeycomb! We don't have a thermometer, usually just look to make sure things are cooked through. I don't currently use a thermometer but I saw these on Bake Off and really fancied one ! No, I don't use a meat thermometer, but it would make cooking meat so much easier. No, I don't currently use one. No, I don't currently use a thermometer when cooking. I have a horrible cheap one but I don't use it. I don't now but I would if I had one of these! No, I don't already have a thermometer, have been on the lookout for a good one for ages! I have never had a cooking thermometer. I would like one for cooking lamb. I don't use at the moment but would love to try one! I dont use one at the minute. but would love to try one. I don't currently use one but I would like to. No I don't, but I would be very interested in trying one. I don't yet but I want to start using one! I do use one for certain dishes. I've had it for forever and it doesn't seem to be any particular brand. It's also quite awkward to read the temperature so not the easiest to use. No I don't, which is probably why I am always worrying if things are cooked. Would love one. Never used one - but love making sweets so this would be so useful. We used to use a really cheap Sainsbury's one but it broke and haven't got around to replacing it. It was mainly used in the summer for food cooked on the BBQ so not really the weather for replacing it right now! I don't but i think i should start! No, but it would be great to have one. No, I don't, but I think I should. It would be more reassuring. That way I will know if my food is cooked properly, instead of butterflying my meat to see if it's still pink in the middle. Yes I do but it's a rubbish cheapy one from ebay, Im pretty sure it doesn't work ! No but I really want one! I don't use one so I'd really like to win this! 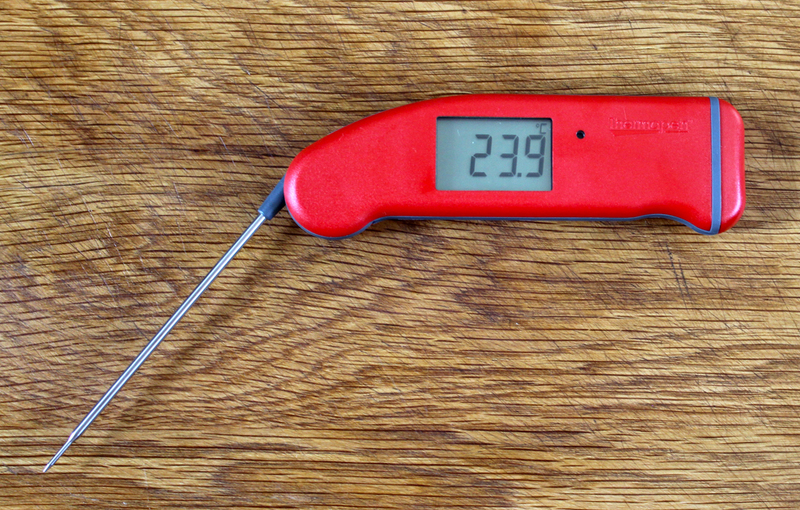 I have never used a food thermometer although I know you should. It would be great to win this one. I have an unbranded thermometer by ETI with a lead. I've managed to melt part of the handle due to the design. I use it regularly to check food temperatures as I mind children. I've never had a thermometer while cooking, and am paranoid about getting food poisoning - so I tend to make a right mess of whatever I'm cooking, making sure that it is cooked enough! I don't use one, but I really think I should! I have never actually used a thermometer but often think I should. No I don't use a food thermometer. Sometimes though I wish I had one just for a bit of reassurance. I haven't got one, but we be fabulous for Christmas! I used to have one but it broke and I can't remember what brand it was, but it was a cheap one,probably why it did fail. No I do not own. I use a thermometer for jam making but not for anything else. No I don;t use one. I've got 2 non-digital ones - a meat one, because I was fed up trying to judge if chicken was cooked and a sugar thermometer for jam. The meat one is rubbish and I'm not sure if it's accurate, it keeps misting up even though I'm careful when washing it. Don't know the brand of either of them but just cheap. I don't use one but have considered getting one. no I dont own one but worry about cooking christmas dinner this year for the relatives so considering buying one. Not yet. I have chicken paranoia so really should get one. I do for roasts. I can't find a name on it. No, I dont but would love one! No, but I would if I had one. 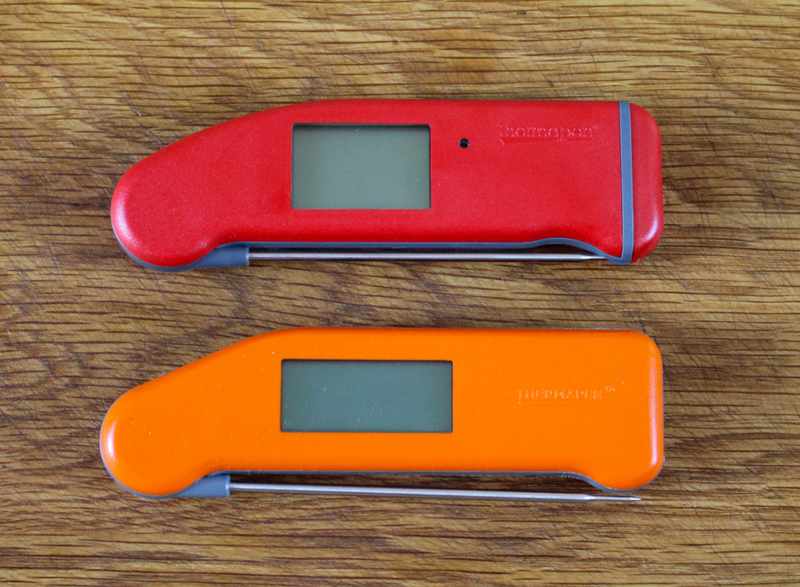 Never used a Thermapen, but I have used a (rather cheap) thermometer. Even with something basic, the difference it makes to cooking is amazing. I have an ancient old-fashioned jam thermometer which has a glass bulb filled with some red liquid, and a metal scale to the side which is in Fahrenheit and has marked on it temperatures for jam, boiled sweets, caramel and other sweets you cook in a pan. 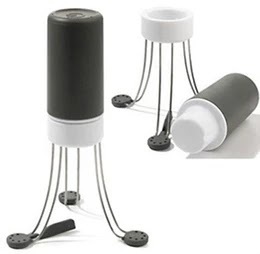 It is quite hard to read as you have to get the liquid at the correct angle to line it up with the scale, and of course it is no use for measuring the temperature of other types of food such as roasts. A thermapen would be a great improvement.